Medieval Gender Reading Group: TOMORROW! Scholars of all disciples are very welcome to join this informal reading group for interdisciplinary discussion related to gender and sexualities in the middle ages. Graduate students are encouraged to attend. A free sandwich lunch is provided. Next meeting: Thursday Week 8 (13th March), Seminar Room (note different location), 1-2pm. Although ‘homosociality’ has become a critical buzzword, methods of creating and maintaining homosocial spaces in the middle ages have received little attention. Homosociality does not just manifest in a vaccuum: it is introduced, maintained, and developed in a variety of social contexts. We will also consider ways in which scholars outside the field of literary studies can use literary texts in their work on gender. In recent years, the concept of ‘bromance’ – intense friendship between two men – has received a great deal of attention both within the mainstream press and the academy. 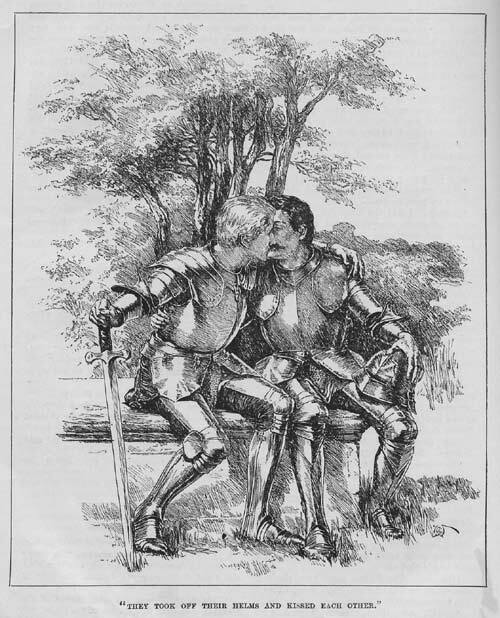 Many medievalists have examined friendships between exceptional men, both real and fictional, in the middle ages. In this session we will look at the romance Amis and Amiloun, which has variously been interpreted as hagiography, queer narrative, and sceptical response to mainstream ethics.